The Eurolanche Fan Club interviewed a Russian forward. 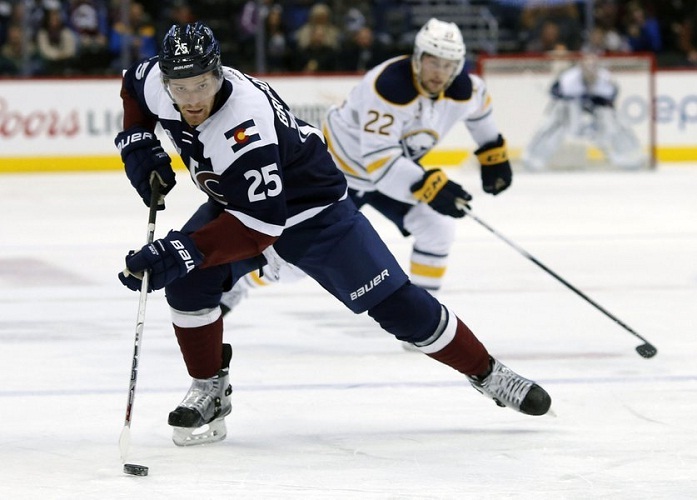 Mikhail Grigorenko joined the Colorado Avalanche organization on a day of last year’s draft when he was traded along with Nikita Zadorov, J.T. Compher and the 31st pick in the 2015 NHL Entry Draft for Ryan O’Reilly and Jamie McGinn.. His journey to become the NHL player began in 1994, when he was born in city of Khabarovsk, located in the Russian Far East near the border of China. He came to North America in 2011 and the Quebec Remparts of the QMJHL took him at the CHL draft; mainly because of huge Patrick Roy’s (then-coach) interest in him. After spending only one and half year in the junior league, Mikhail got his first chance to play for the Buffalo Sabres which draft him in 2012 of 12th place overall. Mikhail was one of the best players in the juniors when he led all rookies in goals and points after his first season. He spent 2013/14 season playing for the Sabres and its affiliate in the AHL and in the QMJHL too. It was nearly the same (without QMJHL) in the following season after its end he was traded to Colorado Avalanche. Smart player and person both on and off the ice, Mikhail has had a bright future ahead of him. The members of the Eurolanche Invasion VIII can say nothing but only good words on the mutual meetings with Mikhail during their stay in Denver. Mikhail’s entry-level contract is about to expire soon, he will become a RFA and would have to sign a new contract if he wants to stay in Denver. 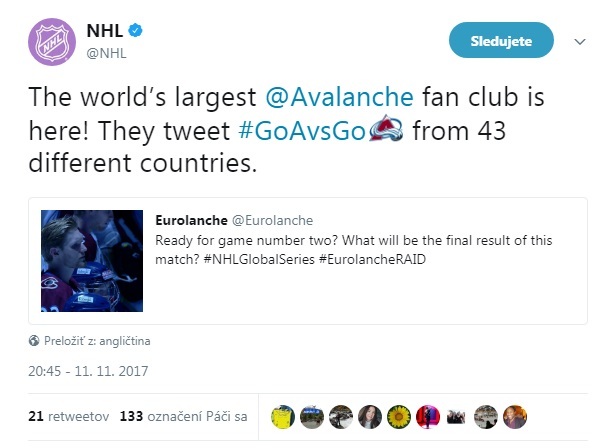 Colorado Avalanche is your second NHL team, you can now compare. What is the biggest difference between them and the Sabres? As soon as I was traded, I knew I was going to the winning organization. I knew about the history of the team and how the only thing is winning Patrick and Joe care about. They could be relaxing and playing golf in Florida but instead they’re waking up every morning thinking of how they could bring another Stanley Cup to Denver. I knew we would be playing for something big every night. Buffalo had very hard last years. Now, Colorado just finished the season not good. How a player like you can stay to be focused on the game is such hard times, games? Personally, I have to go back to training in 2-3 weeks, go to private skating lessons again. I had a good season considering I started as a healthy scratched and played a lot on the fourth line but I am not satisfied at all. We didn't make the playoffs and I can do a lot better. Everyone in this team needs to have a huge summer and come back to camp in a great shape ready to fight for the playoffs spot because it won't get easier. It's all on us. Why do you think the team failed to win the final games of the season? You could still make the playoffs..
What did you like the most on your first year in Colorado? To go to camp knowing everyone in the room had the same goal, to fight for the playoffs spot until the end. I also think meeting Matt Duchene really helped me. Even when I was playing six minutes a night and we didn’t really know each other he would come to me and tell me I played good. My confidence hasn't been that good the past couple of years so I think he's a big part of me improving this year. Then when we played together we started having really good chemistry and I was finally having fun playing hockey. He kept giving me a advice. It's really good when you're 21 and your best player talk to you a lot because you have so much respect and want to learn from him. Tim Army really helped me too. No one told me I don't work hard. They looked at my game and saw how I was just not the best at the protecting a puck so he started teaching me. After every practice I would stay and battle against Nate Guenin. Joe and Patrick also came to me and made me cut my stick. They thought it would help. Just small details that show they cared and want to help me improved. Is there any difference between your former coaches in North America/Russia and Patrick Roy? Is he a special coach? Every coach is different. The thing I can say is that Patrick is never satisfied and is always looking to improve his team and better himself as a coach. In these days, media all around the world report about Radulov's next contract. Do you know him? 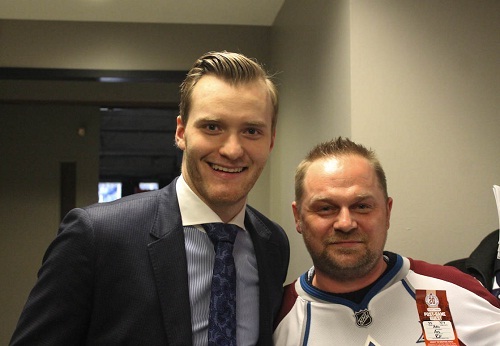 Do you know he could be a great addition to the Avalanche roster? I don't know Radulov personally because he's eight years older than me but he used to be my brother’s roommate in Yaroslavl when they were young. All I heard from my brother was great. Obviously having him in Denver would be huge. He is a great player and you can see by the way (how) he plays, he is a leader and wants to win really bad, any team in the league would love and need to have guy like that. You are going to become a RFA this summer. Have any talks between your agent and Avs started yet? Do you want to stay in Colorado or to test the market first? I want to stay in Denver. Hopefully I will sign really soon.